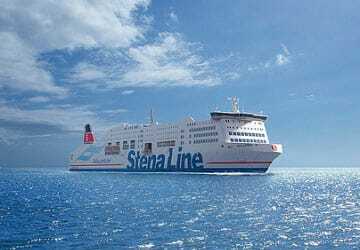 The Stena Germanica is the largest ferry in the Nordic region and provides the ideal ferry crossing to start your trip with its choice of bars, restaurants and entertainment. There's a range of cabins onboard to suit all budgets from standard 2 berth inside cabins to luxurious suites with a jacuzzi and terrace. All cabins are en-suite and fitted with DUX mattresses for a better quality of sleep. 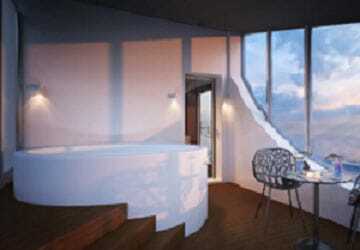 Bed-linen, towels and shower gel are also provided. 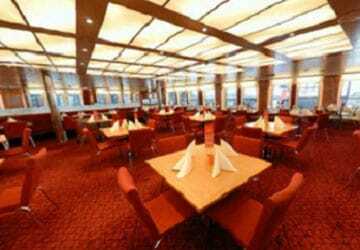 Stena Germanica offers two restaurants to tempt your tastebuds. The 'Metropolitan' provides an à la carte menu with seasonal dishes and an excellent drinks menu while 'Taste' is a modern, all-inclusive buffet restaurant where you can enjoy Scandinavian dishes. In terms of bars, choose from the stylish Riva bar with its selection of over 40 wines, the two-storey Sundeck bar with seating for around 180 passengers or choose from 40 or so wines from different countries and grape varieties at 'Taste'. Onboard you will find everything from make-up to spirits and chocolate and all reasonably priced! There's perfumes from the major fashion houses and cosmetics and skin care products from the leading brands. Choose from good beers and wine at favourable prices, blended and single malt whiskies, classics and new additions from the world’s exciting producers and much more! The C-view lounge has a large video screen on which shows the major events including football matches, pop concerts and news. Read daily newspapers from the four corners of the globe choose your favourites from 1450 newspapers from 90 countries and in 60 different languages, and get them printed for a small fee. 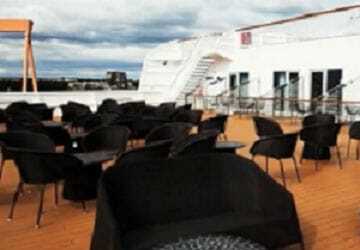 Stena Line also provides free WiFi onboard. 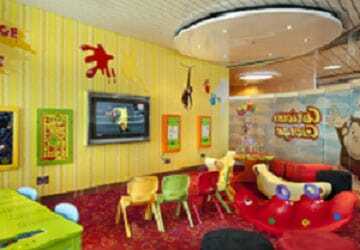 Stena Germanica has a 'kids corner' playroom that shows childrens films. 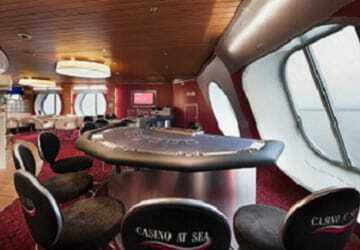 The ship has special cabins adapted for disabled passengers as well as lifts to all decks. Please Note: Whilst we have taken great care in making our Stena Germanica guide as accurate as possible, onboard facilities, services and entertainment may vary depending on the date and time of year that you travel, facilities mentioned may change without notification and ferry companies reserve the right to operate vessels other than those mentioned at time of booking without prior notification. The journey was nice apart from the cabin because the air conditioner system was too noisy. 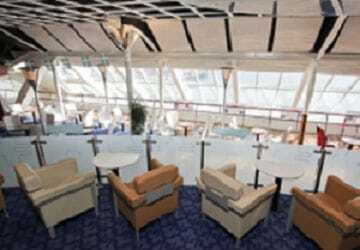 The staff on board was ok.
"Camper on Kiel - Gothenburg"
I came to the terminal and asked where I could get my tickets. The guy asked for booking number and printed two tickets and then all we had to do was get in the queue for boarding. We went to our cabin that was very good and we got a good nights sleep before we arrived to Gothenburg. The only thing I was missing was the possibility to get electricity for our camper. The alighting could've been organised better as well, it took a long time. "A good start to an even better trip!" Our crossing went great. All was really good on board, well organised and great staff. 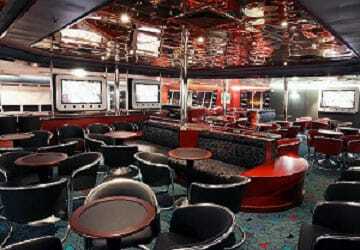 "Kiel-Gothenburg mti Stena Line "
Clean cabin, quiet ship and international channels on TV. What more could you want? I can not say anything because I have cared for myself About the catering. "All in all very good, very clean and confortable, do not forget the restaurant when needed "
All in all very good, very clean and confortable, Do not forget to sign in the restaurant when needed before! A very pleasant crossing with young childreb. They enjoyed the activities planned for them in the bar (drawing, dancing with the mascot). The quality of the catering was really good too. A vey caring and attentive staff. One suggestion; could you install some screen on the boat to indicate the position of the boat like on planes? Our expectation was exceeded slightly. Last year we were in the same category on a ferry in the south, but this time the whole settlement at check in and out was much easier and faster, the ship was clean and the staff nice. "Business trip to Norway "
"Ferry ticket was sometimes not accepted "
Our ticket that we have booked with direct ferries under SPECIFIED, over-height (for bicycles on the roof), did not want to accept without hesitation the ferry company in Gothenburg. Stena Line demanded another 120, - € have for the bikes on the roof of our car, although they were shown separately on the ticket. That being said the crossing was fine. it was a great experience! However, I found the restaurant prices are too high! "Crossing Kiel to Gothenburg "
With the crossing and the services we were satisfied. "Economic and relaxing start to a European trip." If driving to Europe from Stockholm I think it is the perfect solution to take the ship from Gothenburg to Kiel. One can start in the morning from Stockholm 9-10 o'clock arrive in Gothenburg with a good margin to find the terminal and drive on board. This then gives you a good night's sleep in pleasant surroundings on board with good food. You are still moving towards Europe and when you add up todays fuel costs, hotel, diner, and ferry or bridge costs, and the fact that you can relax it gives an economical and relaxing start to your trip. 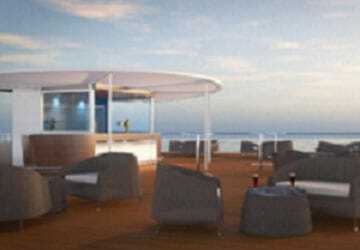 "The pleasure of a ferry journey"
An excellent experience! We particularly enjoyed the prestations available during our inbound journey (Goteborg / Kiel), which weren't available during our outbound journey in June: distribution of a permanent ticket when leaving the hold to find the car more easily when disembarking, deck chairs on the upper deck, a splendid performance by a talented pianist who made the waiting time before the departure pleasant. 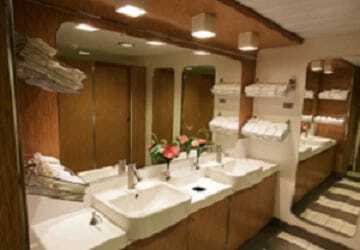 Moreover, the confort of the cabin and of the berth enabled us to have a good rest, before carrying out with our trip. Just one remark: the cabin access cards don't work properly. You need to try several times.